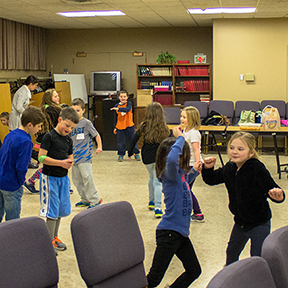 Wednesday nights are full of exciting spiritual formation activities for all ages at St. Paul’s. 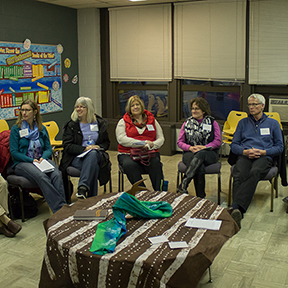 Beginning with a shared meal, children, youth, and adults have many varied opportunities for Christian education, Youth worship, fellowship, and music—something for everyone. Come join the fun! 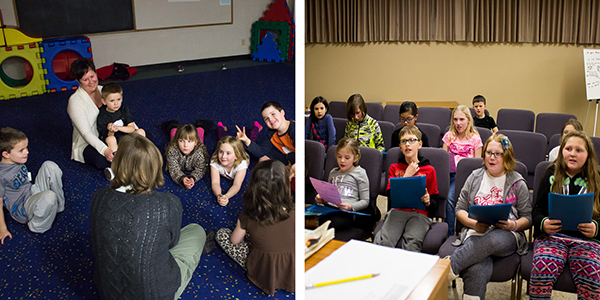 Encourage your children to invite friends and neighbors’ to experience God’s love this year. 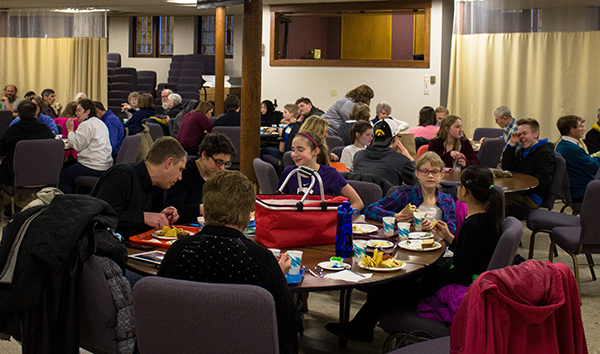 Dinner begins at 5:15 pm in the Wesley Center; activities at 6:00 pm. Join the fun! Preschool-12th grade. If you enjoy praising God through music, we have a place for you on Wednesday nights. Join us for the TGIW meal at 5:15 pm on Wednesday evenings September through May. To volunteer to help in the kitchen from 4:00-5:15 pm or 5:15-6:30 pm, call the church office at 319-363-2058.